During the Healthcare 411 event in the Cesar Chavez Student Center this morning, congresswoman Jackie Speier stressed the importance of enrolling in for healthcare insurance to students. Speier told students that if they are not currently insured or enrolled in the Affordable Care Act, they need to take advantage of the opportunity to sign up during the event. 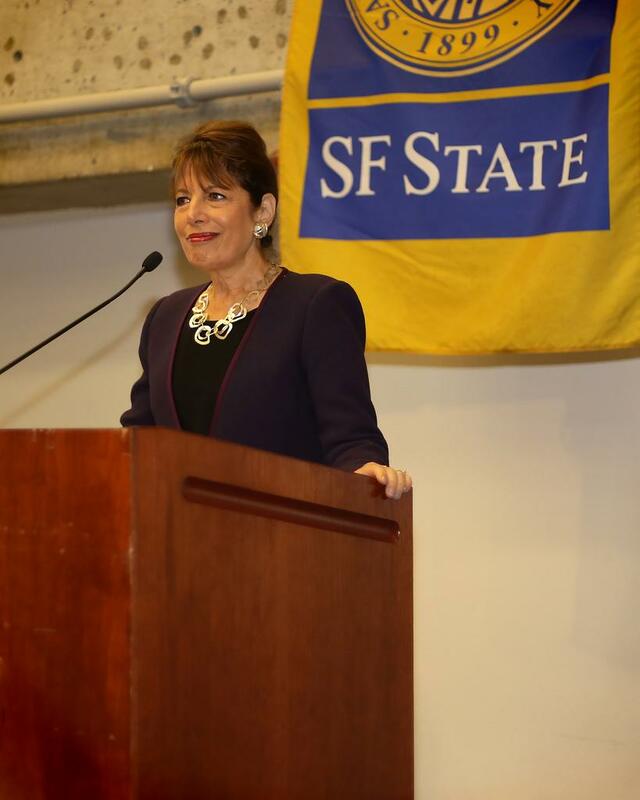 “If you’re smart enough to be at San Francisco State, then you’re smart enough to enroll in the Affordable Care Act because you recognize the great values that it provides for you,” said Speier. Since Jan. 1, 2014, coverage began in the Health Insurance Marketplace, a website designed to help people find quality health coverage. The deadline for open enrollment is March 31, 2014. Students were able to sign up to speak one-on-one with Covered California insurance agents during the event so they could talk about their options. According to a poll conducted by the California State University system, a lot of college students currently don’t have health insurance because they can’t afford it, they don’t want it and believe they don’t need it. Speier said she saw that firsthand when she was in her twenties and was injured while traveling. She was fortunate enough to have healthcare insurance and said she wants students to take personal responsibility for their healthcare. Speier said the reason why there is no cost for services such as mammograms, annual physicals and prescription refills, is because the ACA wants to provide preventative health care to every American. “The benefits are there for you to take full advantage of,” she said.